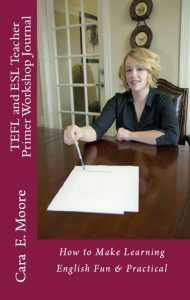 TEFL and ESL Teacher Primer (ISBN 9780955539480) is a reference book for teachers that explains the different teaching styles, including the Humanistic Holistic approach for Teaching English as a Foreign Language. 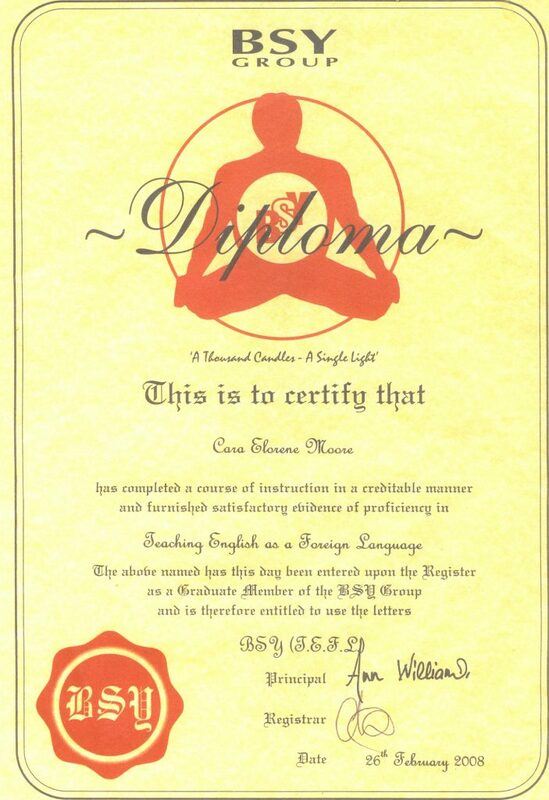 This reference books helps facilitate BICS (Basic Interpersonal Communication Skills) and CALP (Cognitive Academic Learning Proficiency) which is learning in English in a fun and practical way using various techniques such as Drama, Music and Storytelling. 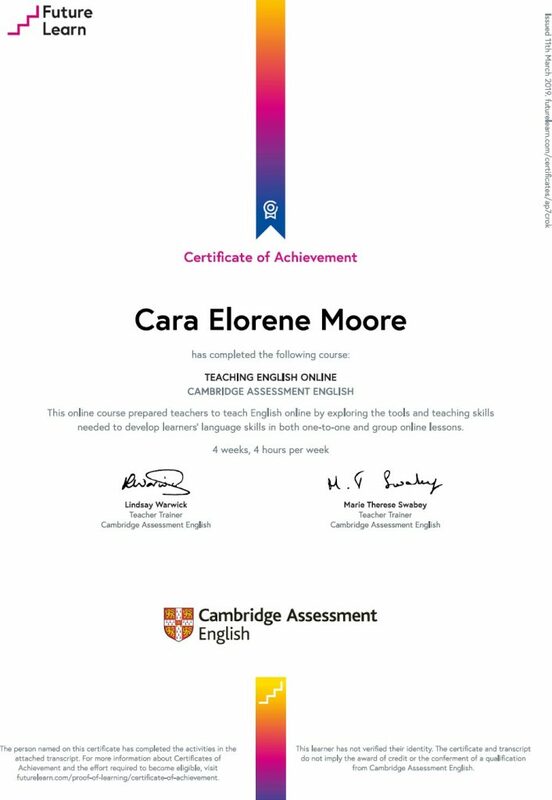 Cara E. Moore is a TEFL instructor and has worked as an English and German language tutor for All-levels Tutoring and A Star Tuition and is the author of TEFL and ESL Teacher Primer: Making Learning English Fun. 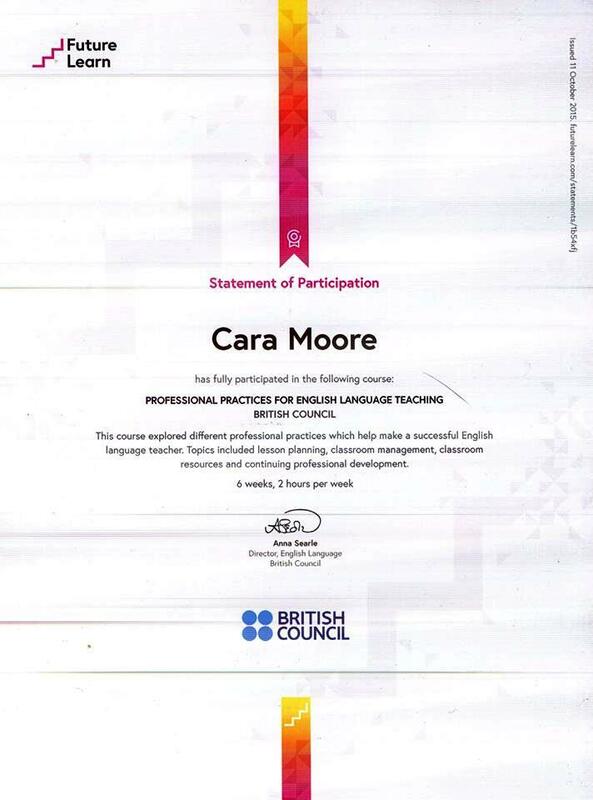 She has qualifications as TEFL Instructor with BSY, Professional Practices for English Language Teachers with the British Language Council and Literacy through Films with the British Film Institute and Teaching English online with Cambridge English Assessment. 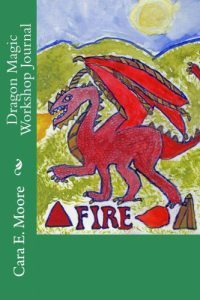 She has also written a collection of poems, Horizon’s Place And Time Meet. 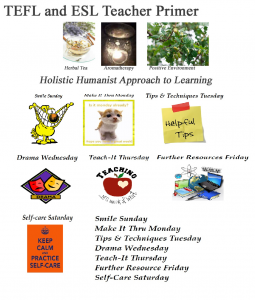 Daily themes for the TEFL and ESL Teacher Primer Facebook Group.